Odette has quite an impressive selection of champagnes and wine, and we got a glass of 2 different champagnes($40/glass) before our meal started. 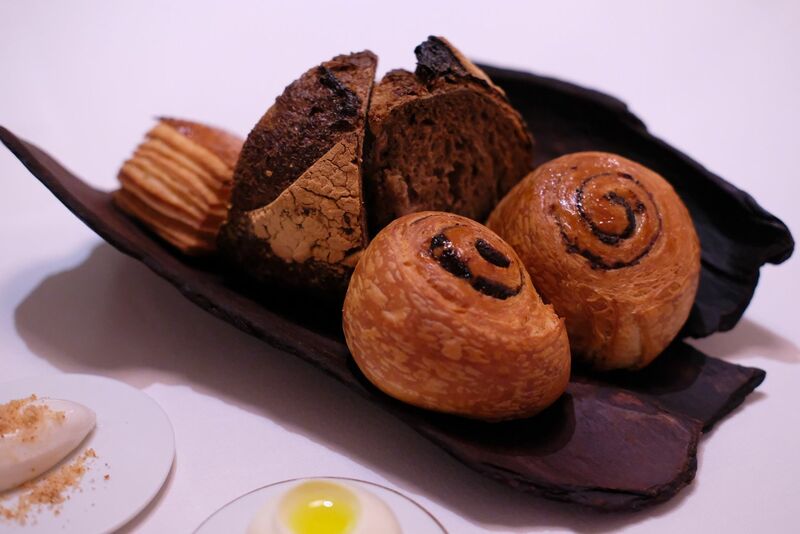 A good selection of bread which, of course, tasted awesome with the butter. Starters before our 8 Acts($328) dinner. The tart was super yummy! 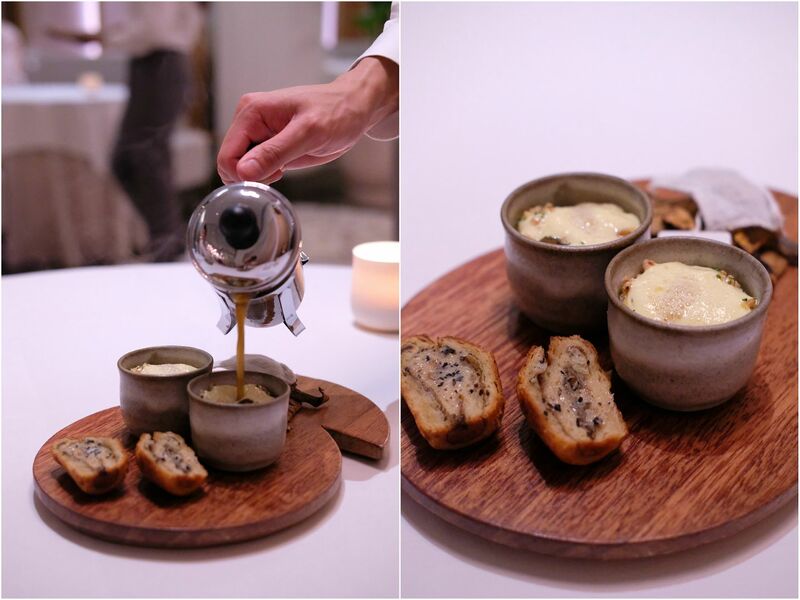 The famous Mushroom Tea which dazzled our tastebuds tremendously, and left us feeling immensely satisfied and positively mindblown. 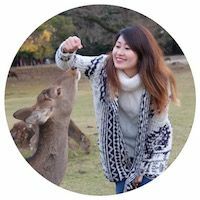 Deeply aromatic, the mushroom tea highlighted the earthy fragrance of mushrooms and let it shine in a way that I've never witnessed before. 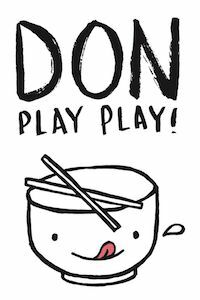 For two of the dishes, the key ingredient is presented in different ways. 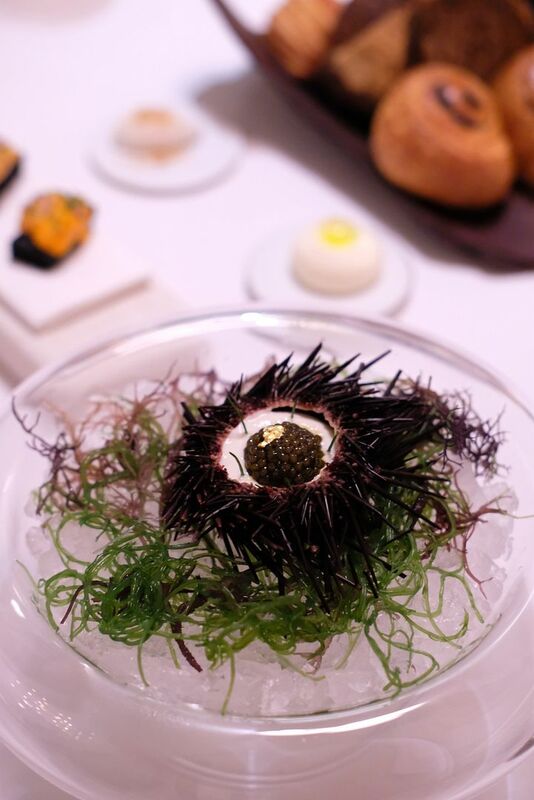 Sea urchin always makes us happy. We are huge uni fans. 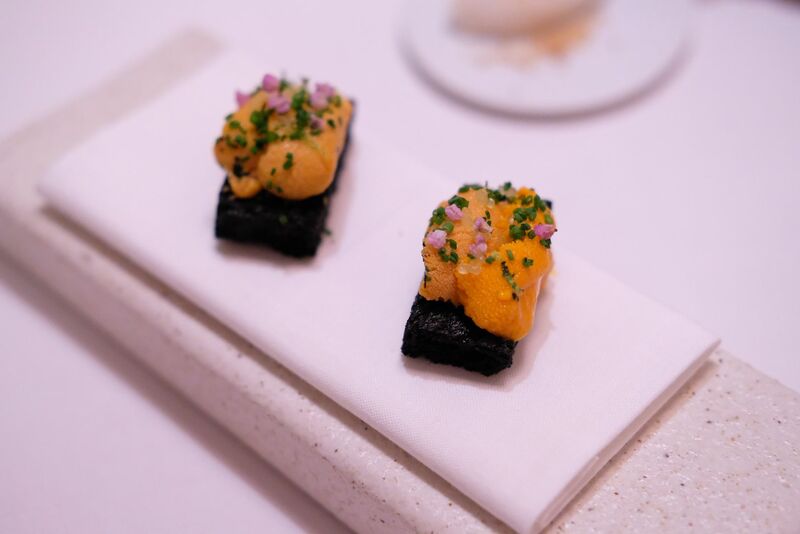 Needless to say, the Hokkaido Uni shell which looked like it was sitting on a bed of sea grass looked glorious, and its contents surely tasted as good as it looked. 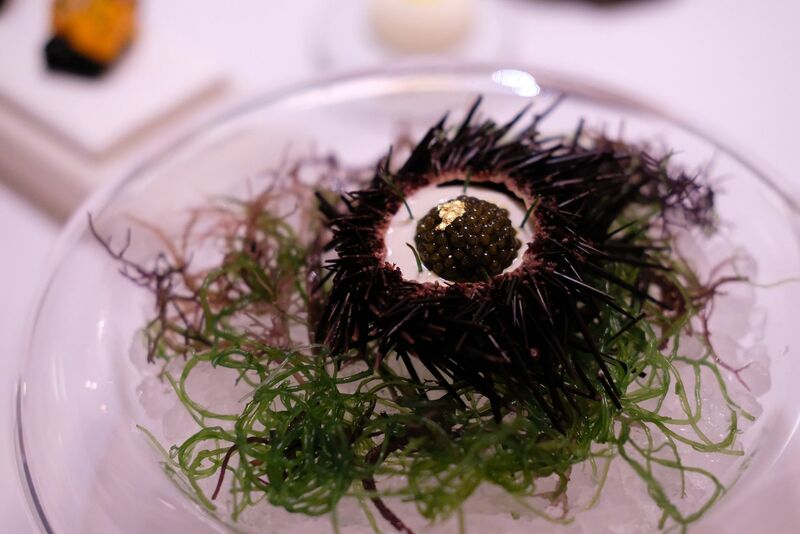 The creamy mussel cloud was such a delight, and the Royal Schrencki caviar was just the icing on the cake. 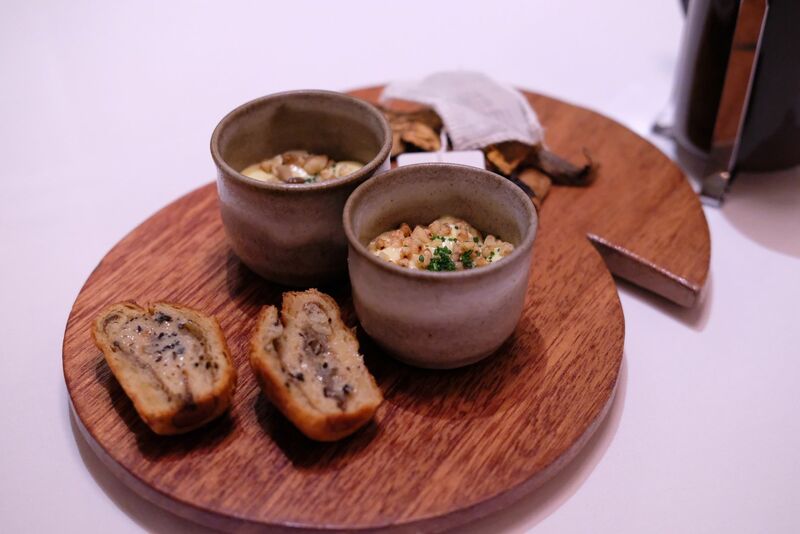 We took our time with this one, savouring every bite quietly and slowly, making sure that we relished every bit of it. 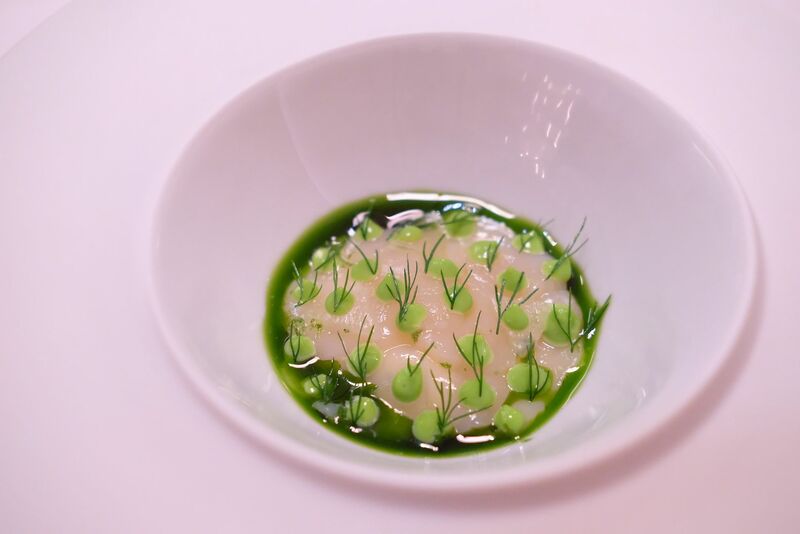 The Trondheim Bay Scallop looked like a pool of "white mud" which has little patches of grass sprouting out. The green blobs are horseradish and white balsamic cream, and there's pickled onion lying in the dish too. 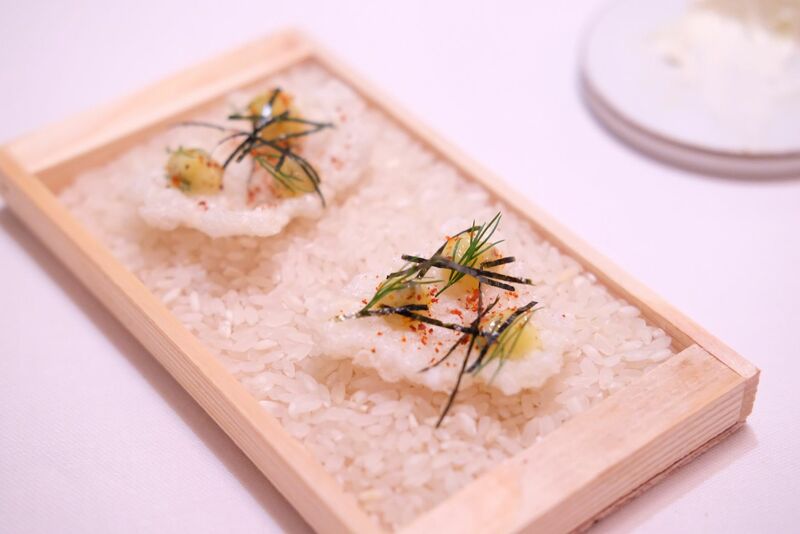 The flavours are simple, nothing too complicated, and I think the intention is to showcase the natural flavours of the scallop, which many chefs so often do. Unfortunately, this was one dish that fell short of expectations, and I would go so far to say that it was just alright. We opted to swap the Tomato Collection for something else as we both don't really like tomatoes. Odette gave us an Avocado dish, which was quite unique, and decently tasty. 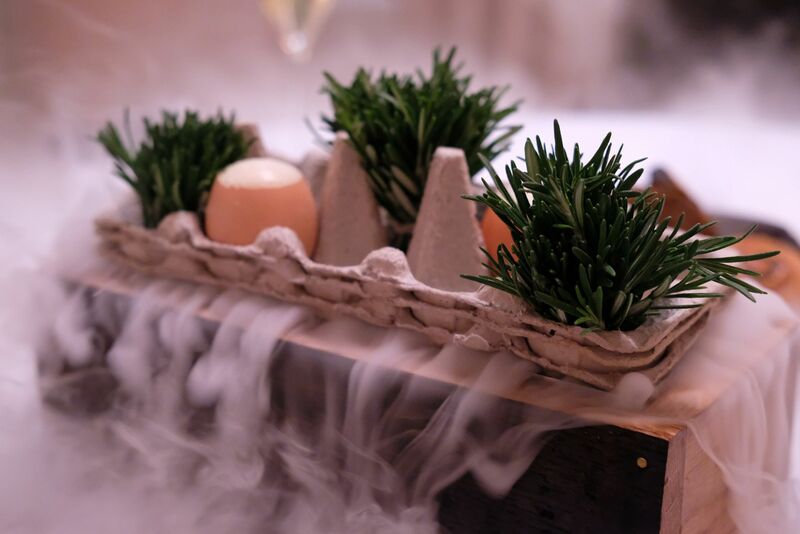 Perhaps the dish that is most famous at Jaan, and one of the dishes that Chef Julien is known for, the Rosemary Smoked Organic Egg makes an appearance at Odette too. 10 points for presentation and aesthetic appeal! The lovely fragrance of rosemary was, thankfully, not overwhelming at all. What sat inside the egg shell was a delicate cocoction of smoked potato syphon, chorizo iberico, meuniere and an organic egg. The warm and comforting creation was smooth and lightly creamy, and punctuated by small bursts of saltiness. The dish lived up to its reputation — every mouthful was indeed delicious. 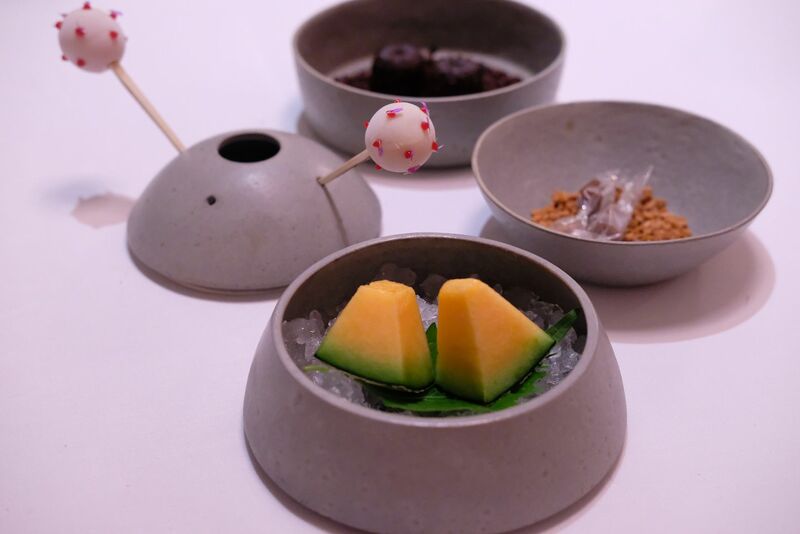 When the server lifted the lid off the bowl, we were greeted by thin slices of Jade Tiger abalone, and chunks of foie gras. 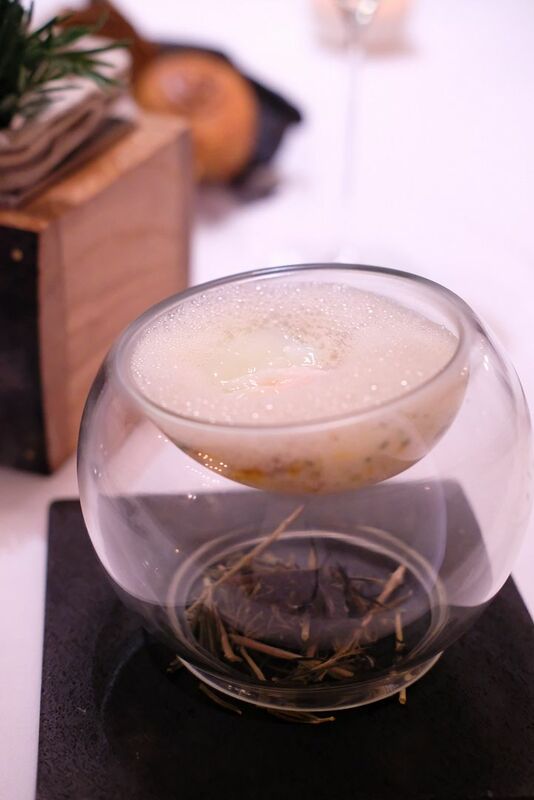 Eel dashi was poured into the bowl, and pieces of eel which were torched right at our table, were added to the mix. 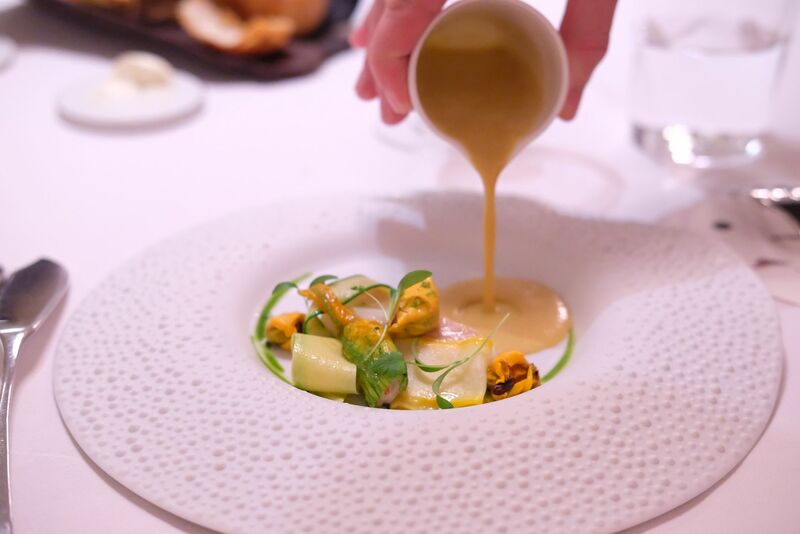 The Foie Gras 'Comme Un Pho' is one of the signature dishes here, and Chef Julien harmonized the strong flavours of the various components quite beautifully. I love foie gras, so the creamy foie gras which just melted in my mouth was a winner. But was the ensemble a party in my mouth? Not quite. 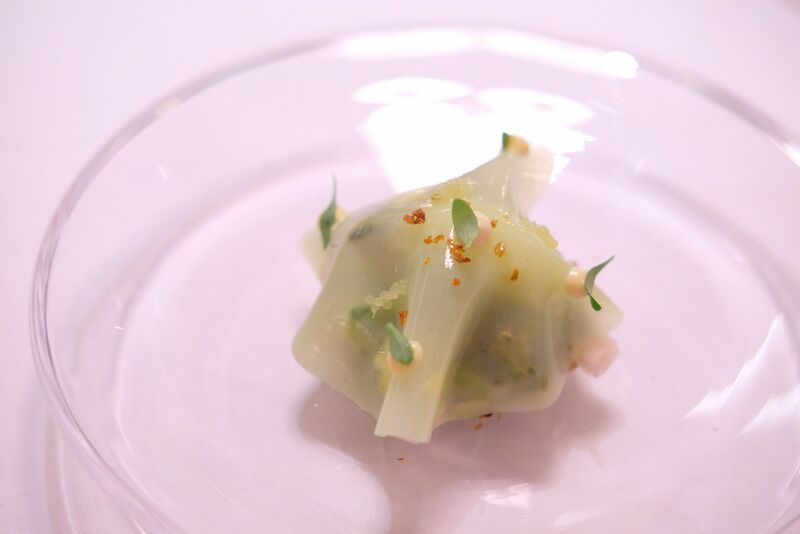 Next up, we had the Wild Atlantic Turbot which was completed with a zucchini composition, Bouchot mussel and nage "Esprit Thai". The distinctly Thai flavours in the luscious nage complemented the sweetness of both the mussels and the tender flat fish. However, the dish didn't come close to even mildly incredible for me. It was not bad, I would say. My best friend really enjoyed the nage though. 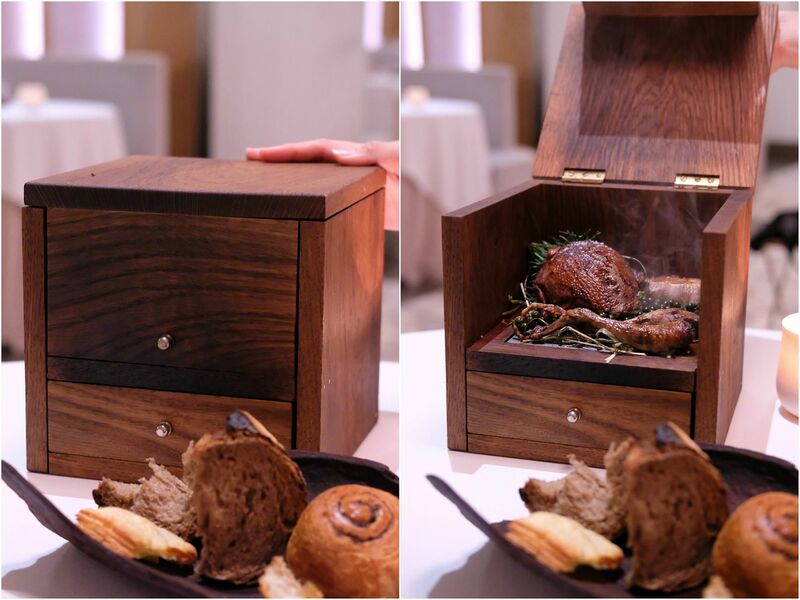 Shortly after we've finished the turbot, we received a mystery wooden box, which held a smoked pigeon. 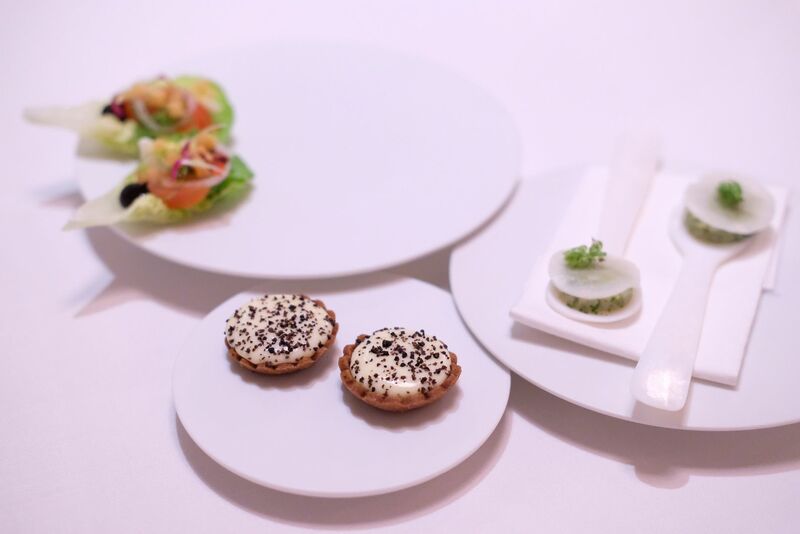 Of course, they weren't going to let us eat from the box, and such an immaculately-presented dish must be just for display. True enough, the server took the box away, and the real pigeon (meant for our consumption) arrived. 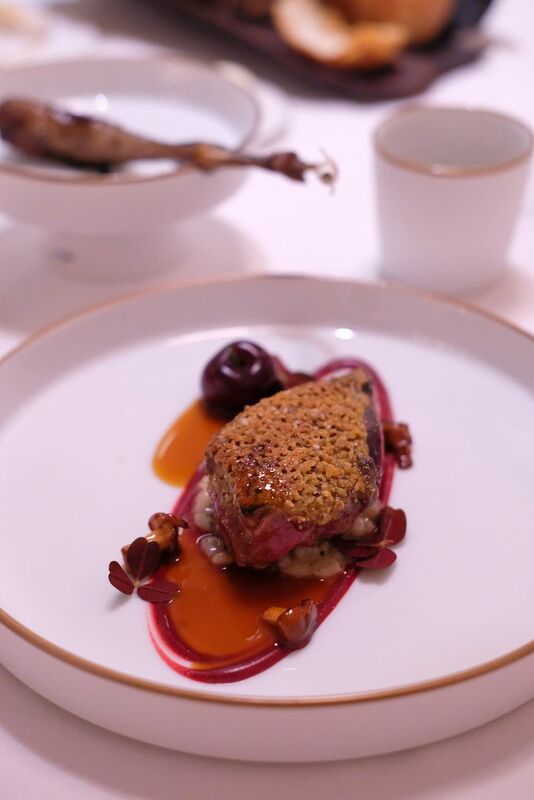 Le Pigeon Fabien Deneour en 3 Services was a pretty getup of pigeon breast with a Kampat pepper crust, barley risotto and Bessenay cherries. The thin crisp pepper crust gave way to a slab of pigeon which was just a tad shy of being a knockout — the pigeon could have been a little more tender and moist. A pigeon leg with a tiny message tied to it accompanied the breast. I love it when restaurants pay attention to, or should I say, bother with, little details like this. Refreshingly sour, the Meyer Lemon Tart was built on a crisp sable breton base, with the tangy lemon curd stealing the show, and my heart. Hints of basil could be detected, and the foam balloon, which was really sour, made our faces pucker up. 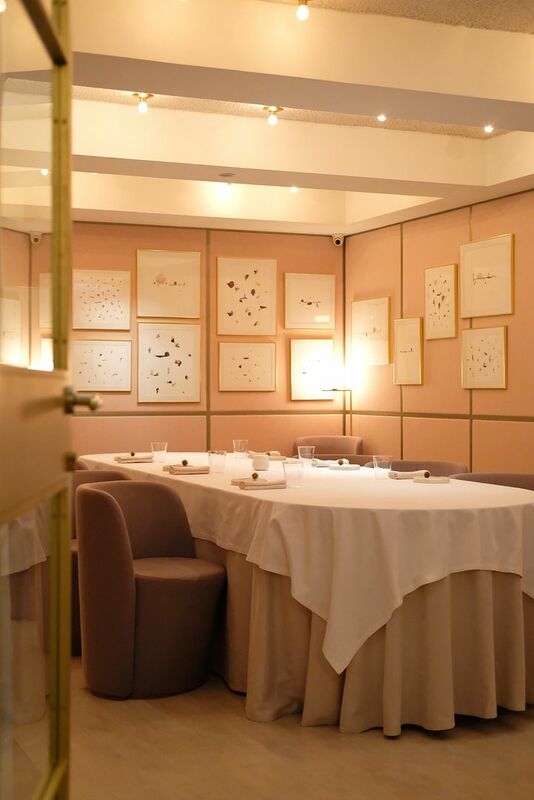 I believe that most people who make a reservation at Odette are here to celebrate a special occasion. Odette does not prepare a special dessert for your special day, but recommends that you get a cake that's made by their pastry team. My best friend got a Chocolate Lemon Cake ($55) and honestly, I didn't think that it was worth $55++. 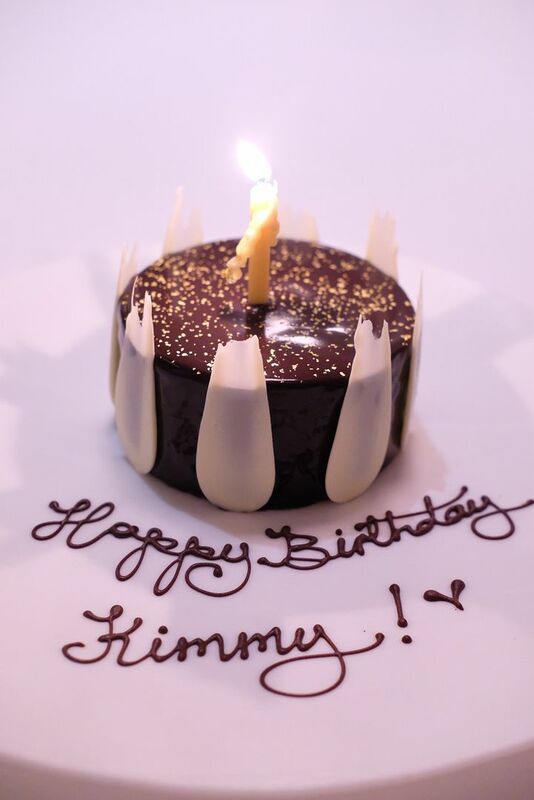 I received a way bigger birthday chocolate cake from a 5-star hotel and it was quite significantly nicer than Odette's. I'm not saying that fine dining restaurants are obliged to send out a ridiculously opulent dessert on the house, but even a tiny square of cake with a candle would have worked perfectly. I mean, after all, we are paying hundreds of dollars for a special meal, most likely for a special day, and it'll be nice if the restaurant recognises that and celebrates the occasion together with the diners with a small gesture. And that's why I always go to Morton's Steakhouse to celebrate birthdays because they sure know how to make you feel like a star. We had a small slice of the small round cake and took the rest of it home. 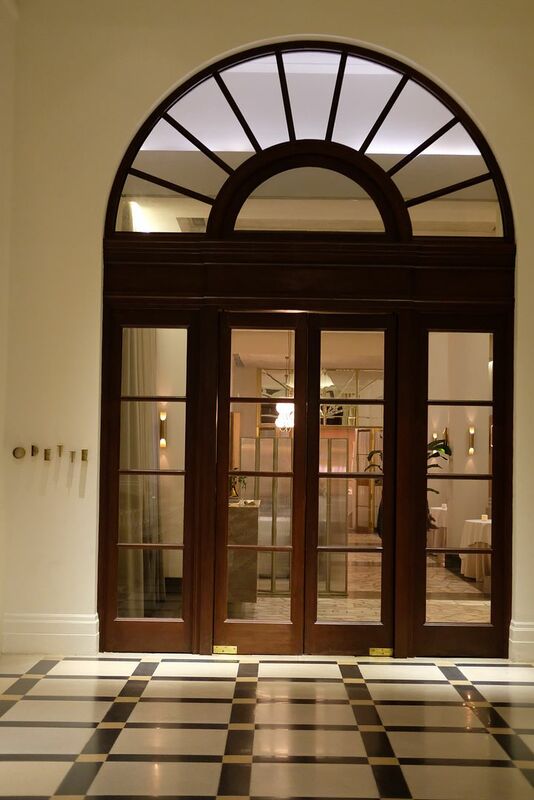 Service at Odette was definitely top-notch, with every server going through every dish in detail succinctly. 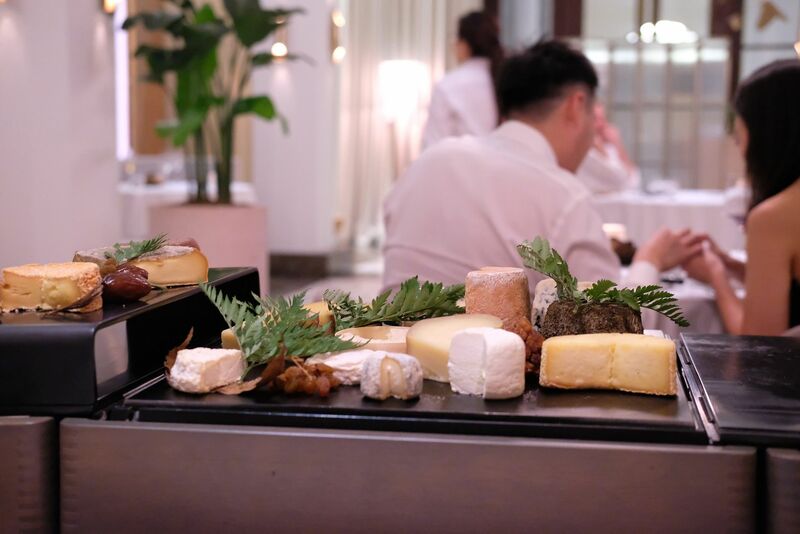 It's clear that Odette values customer service, and places a huge emphasis on aesthetics — pretty interiors decked out in pink, white, and grey, well-groomed staff, and of course, the presentation of each and every dish. But was the meal worth the $931.01 for two people? Well, I don't think so. 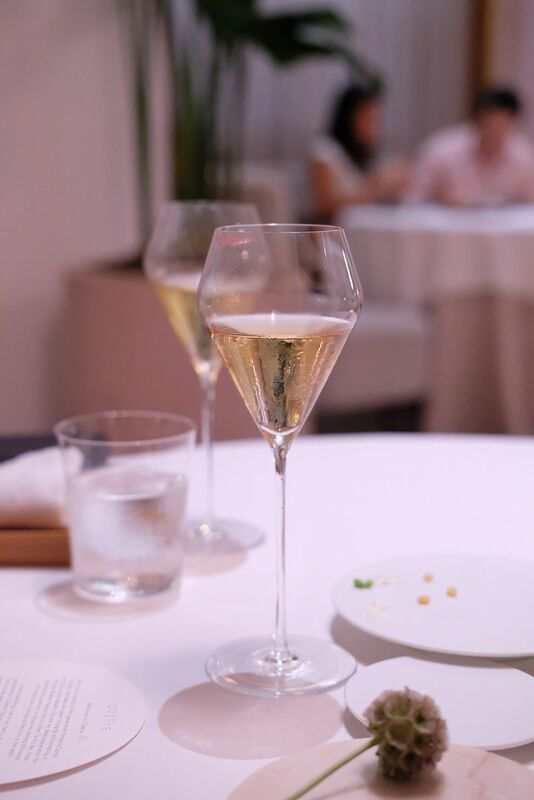 Maybe it's due to the fact that I dined at 2 Michelin Star Jungsik in Seoul just 1.5 months before my visit to Odette, and my $200 at Jungsik got me a meal that was more outstanding than the one I had at Odette. 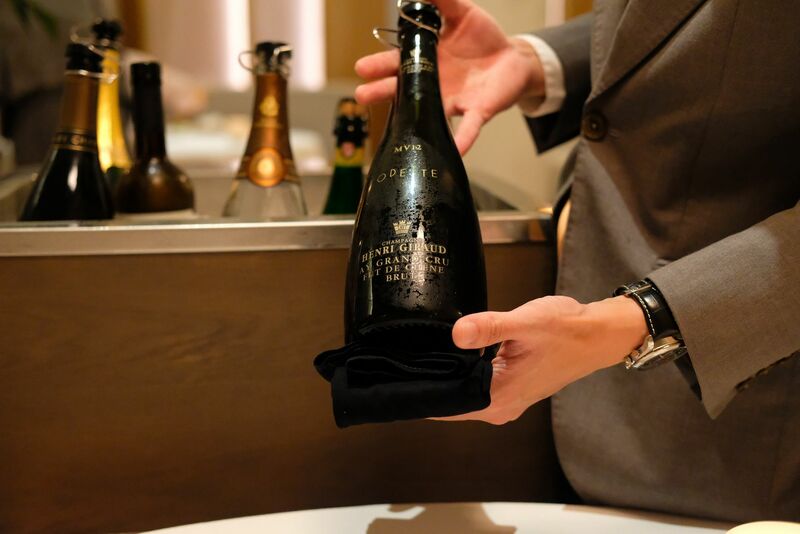 Even if you take away the cake and the champagne, the meal for each person is still $387.04. $320 tops would have warranted no complaints from me, I guess. Odette passed us the rest of the cake at the counter, when we were leaving, and also handed us a bottle of housemade jam. 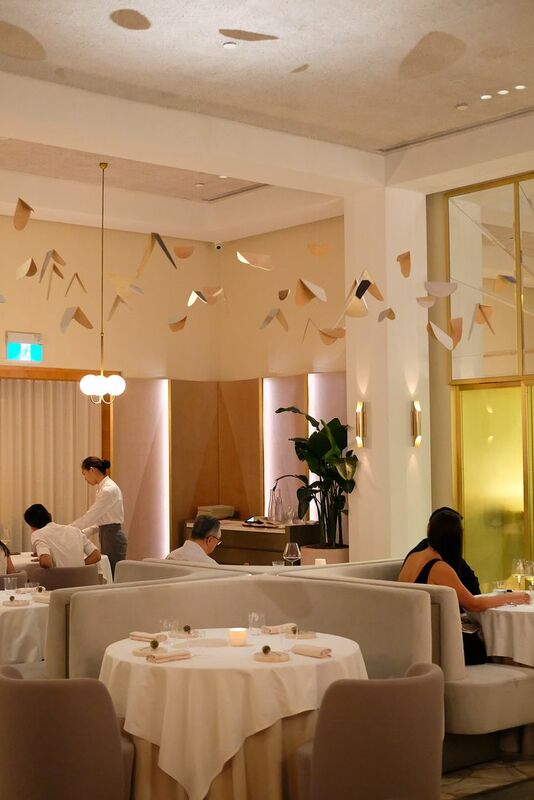 P.S : I just checked Odette's website again and it seems to me that they have revised their menu, and the 8 Acts dinner is now just $268++. Well, I guess we were unlucky then.